Can you share hypermiling technique?? 25 km/l in Karachi. What is your daily route man? With careful driving in eco mode, I am in the range of 18-20. Some of my drives do come out to be more than 30 (on the mileage history screen), but most hover between 15-20. I drive at low speeds and try to reactivate eco mode as much as possible. Alhamdulilah bought this beauty. Just wanted to ask what is the yellow warning sign in the pic i attached and also how do we know about the charge in the battery. Your smart key batteries are about to die. Get them changed. Seems dangerous warning light. 12 V battery has another figure..... anyhow I've heard some Jogaard has been made by some mechanic in Lahore where he replace cells of these Smart batteries in 60-70 thousands and all gets fine than. 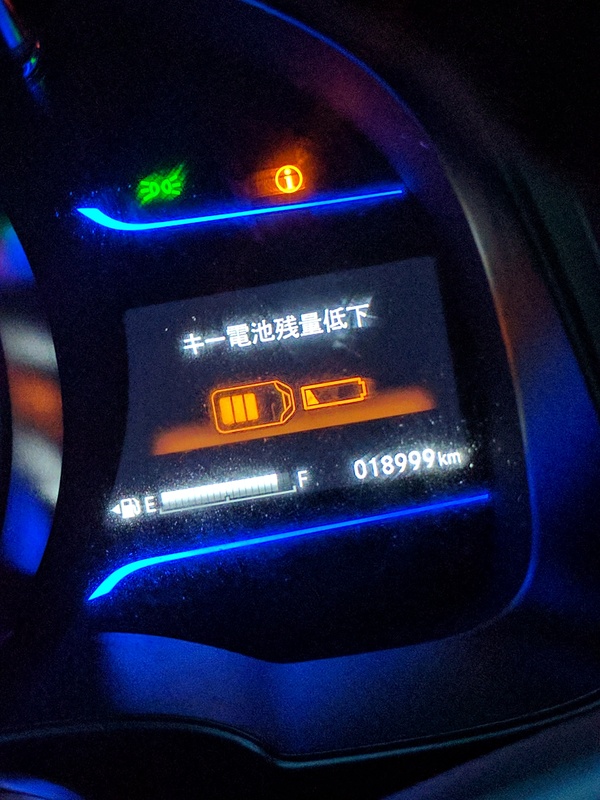 The translation of the displayed Japanese language is "Key Battery low level"
Lolz 60-70 k , these batteries bately cost 20 rs and you can change them yourself. Ignorance can cost you big time man. Oh lols. I was thinking these are the main hybrid batteries of the hybrid cars stored at rear bottom. Good to know that these indicate battery of the key. any one can tell ,how to install cruise control and from where...plus genuine honda fit air filter ???? He specializes in these kinda things. His shop is near shaukat khanum hospital.